Toy Sale Boat is all about finding the best deals on toys and there's no better deal than free! To kick 2012 off right, Toy Sale Boat is hosting a giveaway where one lucky Facebook friend will win a Bowser Building Set from Mario Kart Wii K'NEX. With these new K'NEX sets, you can build the world of Mario Kart - complete with racers, obstacles and power-ups like mushrooms and stars. The huge track sets are cool, but if you don't have room for an entire race track and just want the mini-figures, K'NEX has you covered there, too. Mario, Luigi, Yoshi and Bowser are now each sold separately. If you're looking for Bowser, you better be willing to hunt. In an entire display of at least 50 mini-figures, K'NEX packed only 2 Bowser Building Sets. 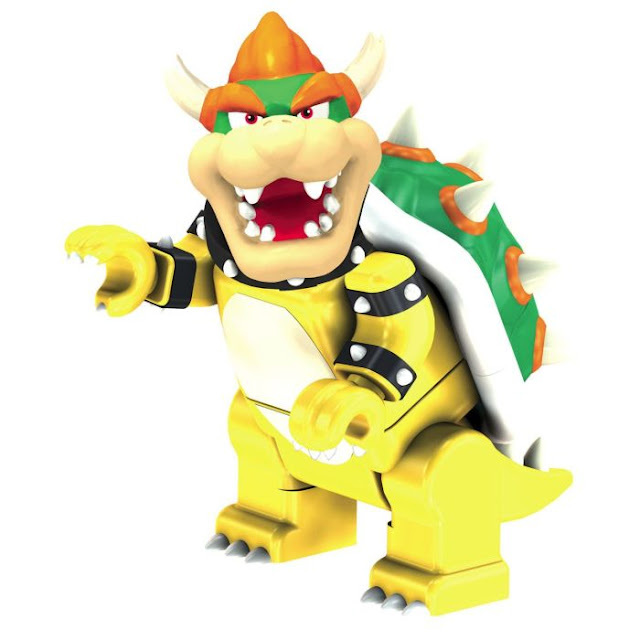 There is some good news, however - You can win a free Bowser Building Set if you Like us on Facebook. 1. Like Toy Sale Boat on Facebook. 2. Share this link on Facebook with the following quote in the text field: "Thank you Mario, but our Princess is another castle. If you think finding Princess Peach is difficult, try hunting down the ultra rare Bowser Building Set from Mario Kart Wii K'NEX. Toy Sale Boat is giving away a new Bowser Building Set to one of our Facebook friends. To enter, just Like us on Facebook and share this post. Follow the link to our blog to find out all details." You have until 8pm (EST) on Thursday, January 19th (1-19-12) to enter. The winner will be drawn from the list of "Likes" as of 8pm (EST) on 1-19-12. The winner will be asked to provide their name and e-mail address. The winner agrees to have his or her named published. No winner announcement, eh? Unliked & unshared & uncared. The winner has been contacted. As soon as he gets back to me, I will make the announcement on Facebook. We'll have a new contest starting up soon that should appeal to everyone!